Many modern doors use Euro profile locks (see picture on right). It is actually surprisingly easy to change the locks. 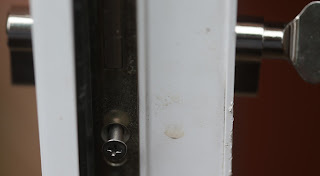 They are held in with one screw, but obviously you have to have the door open to remove the screw, and you have to have the key in order to turn the lock slightly to align it to remove from the door. You may have to remove the door handles as well. I only changed the lock as we managed to get a key break off in the old lock, but I also noticed my locks were old which means they are vulnerable to a number of types of attack - not just lock picking, which is not that hard on older locks, but also tricks to break the lock at the weak point and remove it. To change the lock you need to remove the screw, which is aligned with the bottom of the lock. Then you need to turn the lock (though one of our locks was very old and could be removed without doing so). When you have it right (slightly anti-clockwise from the external side) you can push or pull the lock out of the door. Fitting the lock is the same in reverse. I did find I had to remove the handles to get the lock to slide in and out more easily. 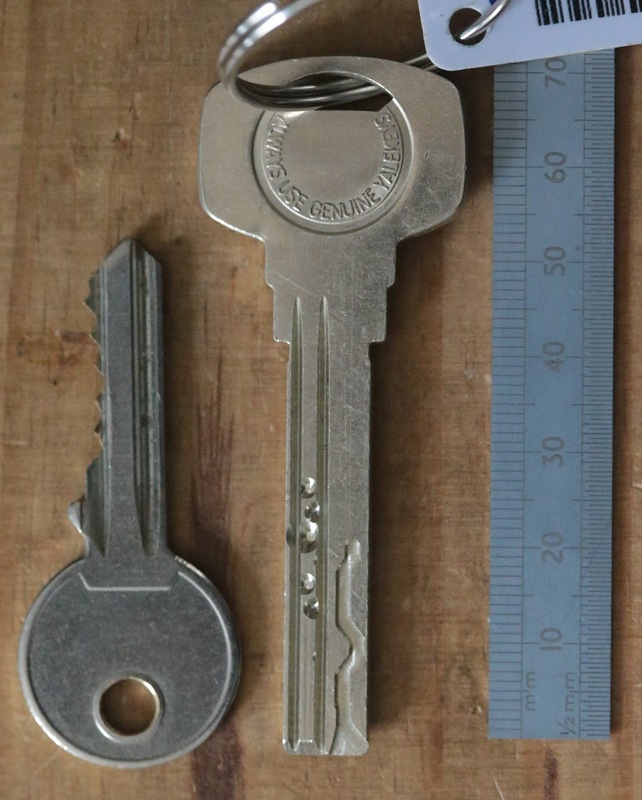 To buy a new lock you do need to know the size. There are lots of sizes. You need to measure the old lock, in mm. This lock is 90mm, and is 55m external and 35mm internal, which is measure to centre of the part that turns in the middle. You should get the internal and external the right way around. You may find you can have 5mm more than you need as that just means the lock sticks out (as show top right). You should try and avoid the external side sticking out if possible to make it harder to attack. (Thanks to Mat for pointing this out). There are different types of lock - you can have keys both sides or a thumb turn (as shown here). 90mm long, 55mm external, 35mm internal. You can, of course, get much better locks these days. Compare to my old keys they are way more complex. There are different levels of security. I went for a Yale Superior Series. 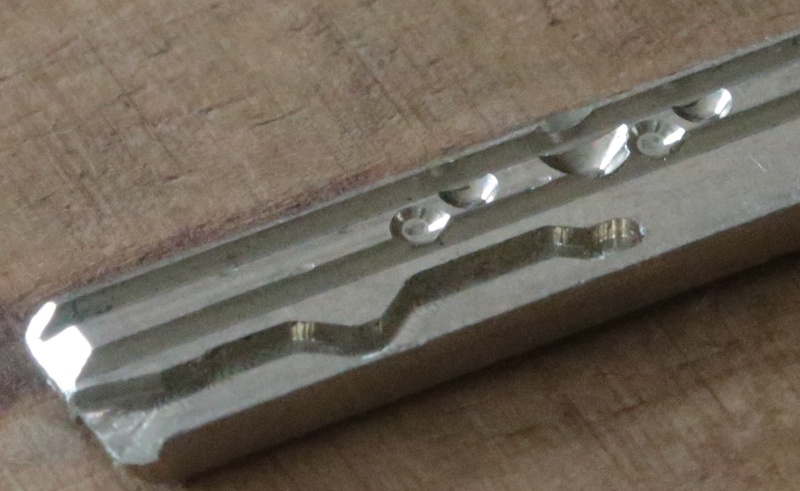 It does not have cuts in from the edge, creating the weak points that allow keys to so easily bend or break, but parts milled in to it. These seem to be two different angles on one part and a groove (so a 3rd axis) on the other part. Clearly this makes it a hell of a lot harder to pick such locks. The company I bought from (Lock & Key) were very good. They can cut new keys as needed (using the 13 digits of code provided). What is quite nice is that they can make all the locks the same key if you want. When we moved in and then had double glazing fitted, and then a conservatory, the end result was five separate locks on this house. Now we have just one key for all it is much simpler. Now we have somewhat better locks, we should be more secure. 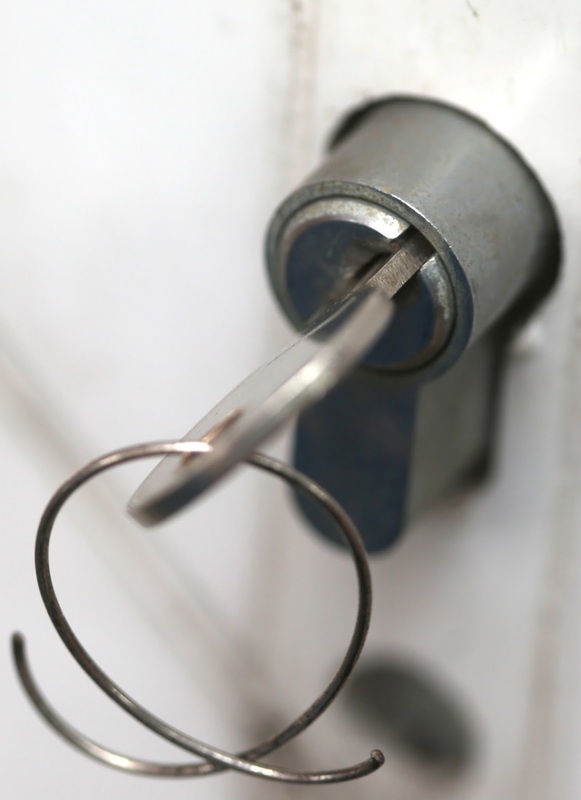 The objective is that we are harder to break in to than next door, so better locks is one step in the right direction (as is security cameras and the alarm system). There is one big security risk though, even with these keys. Whilst your average key cutting stall may not be able to cut these, you can get them cut by ordering from a web site very easily. You simply need to know the coding for the key (13 digits). It is pretty easy to read the codes from a key or a picture as above, which is why THAT IS NOT MY DOOR KEY (before you even ask). To be fair, the same is true for the old style keys, but even simpler. The only real way to avoid this is with electronic keys, and even then you need active keys with challenge./response coding. That is possible in higher security locks. But as I say, you just need to be more secure than your neighbours. The Yale Superiors seem to get good reviews - anti-snap, anti-pick, anti-bump and undrillable. We went for Avocet's ABS Secure (http://www.abs-secure.co.uk/) which add magnets to the mix! 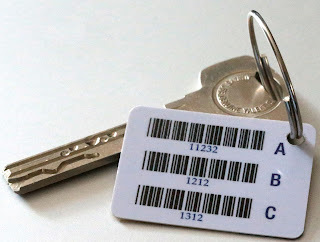 We can decode Yale Superior Keys and ABS keys by eye - or via a photo, however ABS keys will not be cut on a manual de-code with out photo ID, and utility bills + ideally the invoice for the ABS Locks. Is that the "Mat" from lock & key. Thanks for clarifying. Tell me this weekend if you want to use the 'cliq' system instead of ABS before we build your new cylinders! Maybe I should ask my MD to do a proper survey for you - we cover your area everyday for the Met Police with our auto locksmith division. Cliq is total overkill for a domestic property, but if you have commercial machines/data in the property then it shows supreme duty of care. Changing a light bulb £90... etc because its an old MOD contract. This "Cliq" system isn't on your website and info on the Mul-T-Lock website seems sparse... How big of an upgrade over ABS is it? I'm glad I knew a bit about them - at one place I lived, the lock and handles all came loose one morning - had to phone work to tell them I'd be late - couldn't leave until I could lock up - but I managed to fix it all myself so it didn't actually take too long. One neighbour had to have their door smashed in after a spring failed, preventing it from being unlocked - that was quite a drama. You could, and especially as I gave the key cutting codes A=11232, B= 1212, C=1312. You could order a key using those codes from a web site and it would be identical to the photo. But as it says, THAT IS NOT MY DOOR KEY. It is not a key for any lock, it is an extra random key I ordered specially for the blog photos! You could - but you would need to spend £25k on the machine, get licenced and go through about 1,000 test cuts to set it up. Also the cut sequence is not as described. Short video here of the Yale Superior being cut if you want to work it out! Out of interest Matthew what do you think of MIT's work on cloning Primus keys? Admittedly 3D printing is still in its infancy, but it looks to be growing and the resolution of printables is improving. Do you think the home lock likely to follow the auto lock and end up with embedded transponders etc or do you think we'll end up with some kind of shrouded keys? I've seen a few articles on the 3D printing, not sure if that will develop into the domestic door lock market as the lock industry in general is very slow to change! However there are already some sophisticated electro mechanical key entry systems where the cylinder responds to the key via a transponder. 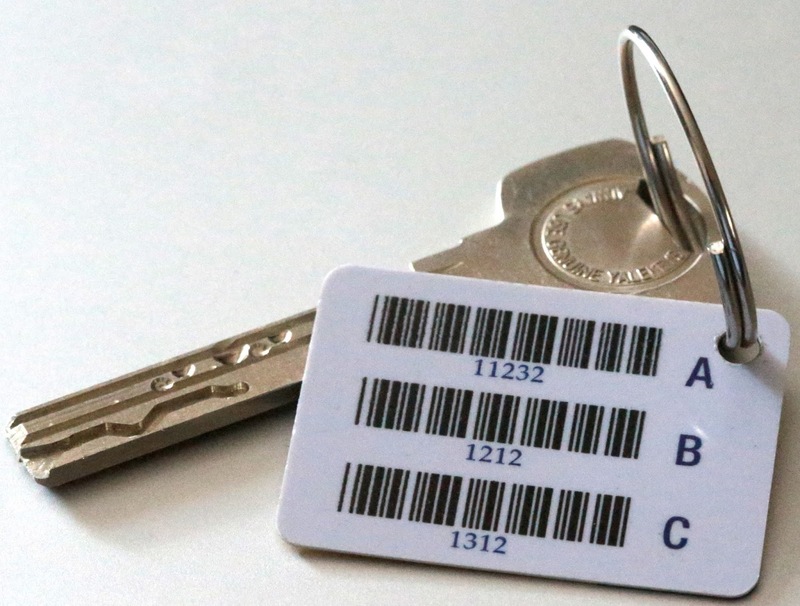 The keys can be programmed for different levels of access and times of day - plus remotely isolated should a key get stolen or lost and levels of access changed remotely. All door entry data is sent by IP. Obviously these are aimed at the commercial sector due to cost - but I can imagine this to be a potential 'cloud' controlled domestic locking system. Also they are beta testing cloud based electronic padlocks with location & near field alarm & tamper reporting to the owner. I can imagine the haulage industry will like this one when it is ready for battle. Forgot to add - we already sell finger print digital door locks for solid wood doors and upvc doors. But we need to see 5 years service without fault before we start to seriously promote them. Hence we are slow to endorse products for a real reason. And how secure is the door and frame around the lock? Quite - once the locks are on the "easy" thing, the next is the door or window frames. The door in its frame is good but yes, I suspect, like most houses, a good battering ram would take out the frame. At which point that wakes anyone in the house, or sets the alarm off if nobody in the house. Of course if someone wants to ram your door with a car then you should let them in and walk away safely with your loved ones and never look back, live to fight another day! One of our specialist fields is anti ligature door furniture and anti barricade door frames! The anti ligature and anti barricade frames are tested to the limits - not cheap, but amazing ergonomic systems! If your patient has put a barricade against the internally opening door, from the outside the care staff can just flick the manual levers on the door frame and the whole lot opens up externally to allow emergency access to the room. In my experience (bar snapping)the lock is not the attack vector of choice. Yes it's Mat from Lock & Key! As discussed by email I'm not comfortable going into too much detail about the internal workings of the TS007 euro locks but the code sequence can also vary depending on locks size and a variable number of pins on the 3 axis, so the key variations are huge. IE 5,4,4 down to 2,2,2. In addition the ABS cam has extra pins to lock it into position if attacked. The ABS is the Rolls Royce of the current Anti snap euro locks (I have x5 of them suited on my home) the thumb turns have a piston which needs pushing in before turning to make letter box snake tools less efficient, tools which should be reserved or licenced to Master Locksmiths only in my opinion, but sadly Amazon don't think so! Yale have just launched a TS007 3 star platinum euro cylinder however it's price point is above ABS and lack of key security (any shoe repair shop will cut them - no code cards etc) means we will leave them for the DIY sheds to sell to the unsuspecting public! Yeh, I was surprised the Yale site had these as their best euro profile locks with such "conventional" keys. I've not had time to fully explore the exact requirements of getting a TS007 3 star approved rating, but to me the harder it is to make duplicate keys for your property without proof the better. Just the same as any other form of security, the classic example of this is giving the cleaners the same key as the nuclear launch controls.... if only they had IPV6 in those days!! "thumb turns have a piston which needs pushing in before turning to make letter box snake tools less efficient"
Hi Mat, Any advise for if I get locked out if I forget to leave the internal thumb turn in the popped out position? Yeh, seen that happen. Not funny! I am surprised that you don't have some form of electronic unlocking Rev? Well, I used to, 20 years ago. Mag card reader on door, wire wrap 6502 processor to control it. Worked really well. The double glazing makes it a paid - when I get a nice solid wood front door again I may do that again. And when you get that nice solid oak front door - I'll propose a world class locking system that doesn't look ugly! There's some funky stuff on the horizon, but the industry is somewhat controlled by Assa Abloy - they own Yale, Union, Mul-TLock, Assa and Abloy etc. Most M.O.D, Gov and petro chemical industries use Assa Abloy systems as their buying departments are trapped in their circle, the problem is after installation the renewables/consumables (extra keys and locks on the same secure system)are seriously over priced and controlled - IE Cartel/Monopoly. Rant over! Maybe I'm seriously looking forward to a cloud based ABS system that offers ongoing service and support at a competitive price - I have a meeting soon with the owner of ABS, my agenda is getting longer! The alarm companies are also all tied in to the insurance companies. I could make a hell of a lot better alarm system just using a raspberry pi, a battery, and some standard RS485 based sensors, but the insurance company would not accept it as valid. I used to have my own door entry system 20 years ago, as I said, and it worked really well - a hell of a lot better than the galaxy panel we have at the office now. Our common problem here is the approval of the insurance industry to approve our solutions - however this is not a mission impossible.... Their ears are open now! Maybe we should offer a combined mechanical and electronic security solution for certain grades of high value properties? Yale's Keyless lock has been around for a long time, but not many takers... digital locks and near field locks are much more expensive for a good reason! We are a Yale support centre, however we don't and probably never will support the unimpressive keyless lock! Unless they re-design it. What I was thinking, once we get a new solid wood door, is some good quality latches, two of them, and electric latch releases tied in to alarm system. So normally using a tag to open the door, but picking/forcing the locks means doing two locks. If nothing else, the unconventional arrangement of locks may well put someone off. We can supply several near field 'tag' solutions, and IP tracking/logging/user + remote removal or time schedule of certain locks in your system. We cover your geographic area everyday for the Met Police car team, so if you want a survey/proposal just let me know! I hope this is not seen as spam - It's a genuine offer if you want a quote, we are only 30 mins away! I replaced my locks with Yale Superior after seeing an item on TV about the vulnerability of the old type of locks! Very simple to replace & in my limited opinion, very good quality! I recently needed some extra keys & emailed Yale, asking where I could get them! I also added a comment that as an ex Fire Officer, I have a concern about difficulty in locating the keys in the slots, especially in darkness! They have to be so precisely located, that I could imagine it could cause loss of life in a fire situation! They did not reply, or even acknowledge my message?? What I do for my clients is to fit a set of keyed alike locks to the entire house, except the front/access door. This means that there aren't keys sitting in all the locks around the house, you can carry just one for the front door or one for the rest of the house (or both), and if the front door is compromised (when someone [kids] loses their key) then you just change the one lock. Don't leave keys sitting in your locks - burglars can break a window or climb in through a small open window, then carry your TV out through the open door without issue.